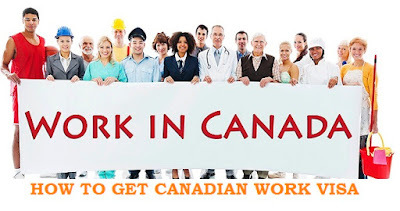 How to Get Canadian Working Visa. Canada is one of the top choices when considering immigration options. With a high quality of life, good salaries and plenty of employment opportunities, it is no wonder that so many people from overseas have expressed an interest in coming to live and work in the country. If you are interested in relocating to Canada, you will need to know how to get Canadian working visa. Here we will look at eligibility criteria, the application process and the point’s requirement to enable you to determine whether or not you will be successful. In order to be eligible to apply for a Canadian work visa, there are several criteria that you must meet. All Canadian work permits are temporary only and therefore you must be able to show that you intend to return home at the end of the period. You must also show that you will be able to support yourself during your time in the country. You must have no criminal record and must be in good health, consenting to a medical examination if required. You must also be planning to work for an employer who complies with the country's immigration conditions. In order to be successful in your application for a Canadian work permit, you will need to obtain no less than 67 points under the current assessment system. These points are calculated over a number of factors including age, language skills and qualifications. Here are some of the categories that are assessed. The maximum number of points that can be awarded for educational qualifications are 25. You will be awarded a different number of points depending on how qualified you are - for example you will be awarded maximum points if you have a PhD or Masters degree together with 17 years of full time study and the fewest points if you failed to obtain a high school diploma. You can be awarded up to 24 points if you are fluent in both English and French (the two official Canadian languages). If you are not fluent in both, you can be awarded up to 16 points for fluency in one of those languages, with up to 8 points available for your second language depending on how good your communication skills are in all of the main disciplines including reading, writing, speaking and listening. In order to be eligible to apply for a Canadian work visa, you will have to either have an existing job offer from an eligible Canadian employer or you will have to already have skills and experience in one of the employment sectors rated O, A or B featured on the NOC (National Occupational Classification) list. You must have a minimum of one year's full time work experience in one of these occupations in order to be eligible; however you will be awarded more points for a longer period in a skilled employment category. For four years or more within the industry you can gain a maximum of 21 points. Depending on your age at the time of application you can be awarded a maximum of 10 points. This maximum total will be awarded if you are aged between 20 and 49 with the fewest points awarded to those under 16 or aged over 54. If you already have an approved offer of employment from a Canadian employer you can be awarded up to 10 points. This job must be unable to be filled by a Canadian resident. You can gain up to 10 points depending on whether you are coming to the country with a spouse who has good educational qualifications or who has already had study or work experience in Canada. Once you have determined that you have more than 67 points, you must meet the financial requirement to emigrate. This means that you will need a minimum of around $11,000 as a single person, and the amount increases on a sliding scale depending on how many dependents you intend to bring with you. How to Get Canadian Working Visa. If you meet all of the above criteria you can make an application to the Canadian government for a temporary work permit. Once you have been granted a temporary permit, you may be able eventually to extend this into permanent residency depending on your circumstances. You can either apply online or on paper depending on your preferences. You will need to submit the relevant paperwork to the authorities and pay the necessary fee in order to have your application assessed and approved by the Canadian authorities.